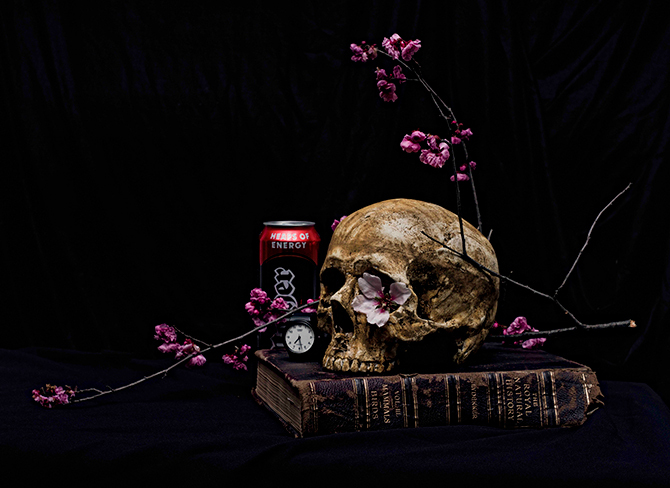 IMAGES IN ORDER OF APPEARANCE: Paul Sloan, Still life #5 2014, pigment print on hahnemuhle photo rag © The artist, image courtesy of Hugo Michell Gallery. 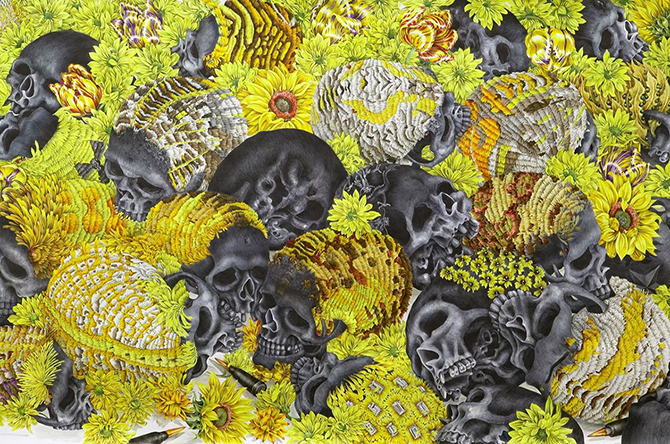 eX de Medici, Skinny day ambush 2007, watercolour on paper. Collection Museum of Old and New Art (Mona), Hobart. copyright Ex de Medici, represented by Sullivan + Strumph. 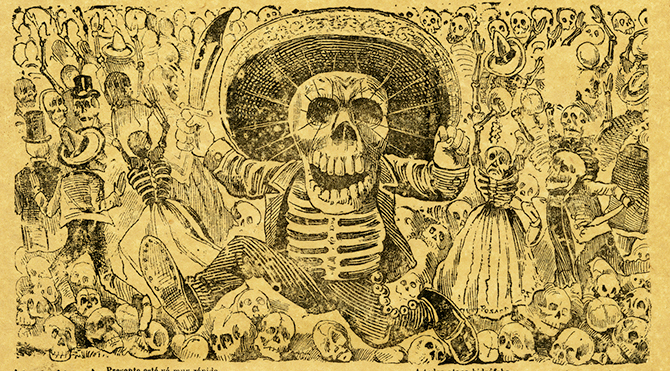 Jose Guadalupe Posada, Calavera del Cine, print on woven paper. Private collection. 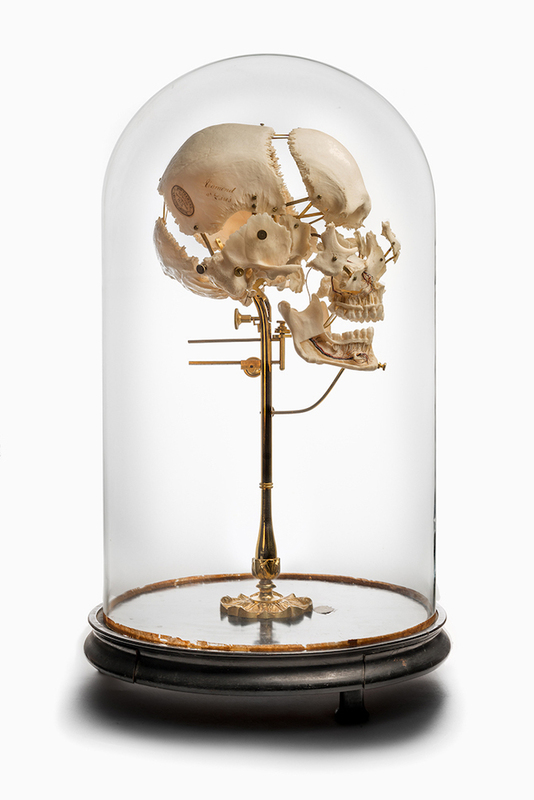 Tramond & Co, Exploded skull model with glass dome, nineteenth century. Harry Brookes Allen Museum of Anatomy & Pathology, The University of Melbourne. 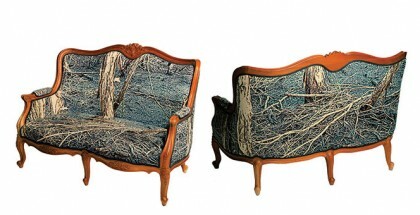 Sam Jinks, Divide (Self portrait) 2011, mixed media. National Portrait Gallery © Sam Jinks. 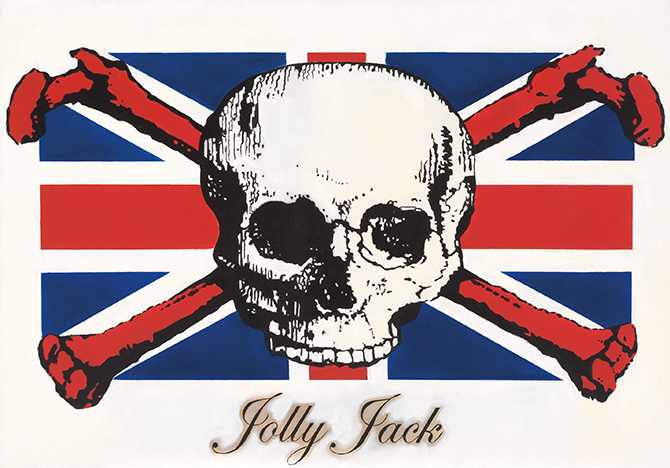 Daniel Boyd, Jolly Jack 2005, oil on canvas. 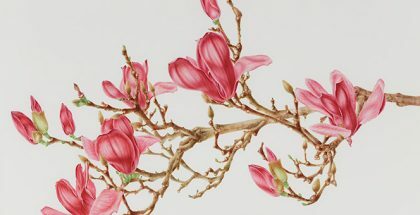 Collection National Gallery of Australia, Canberra. Purchased 2006 © The artist. 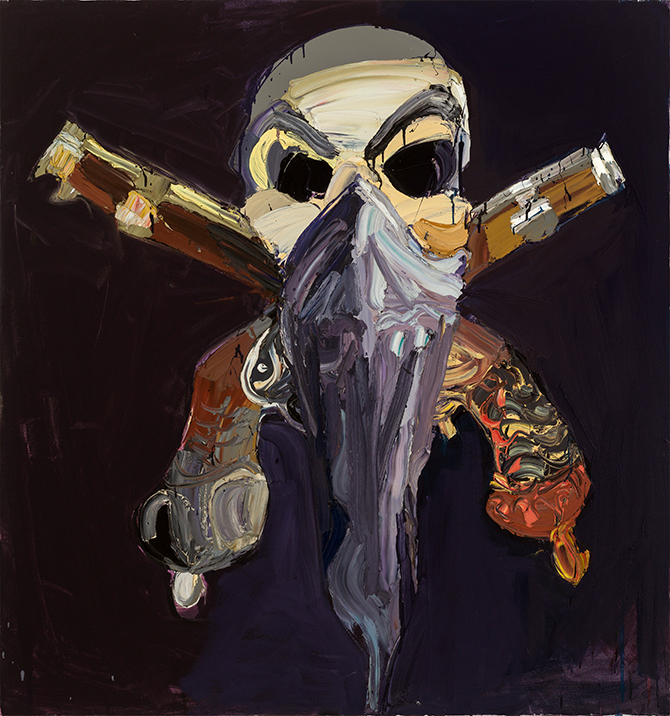 Ben Quilty, Alchemy 2005, oil on canvas. 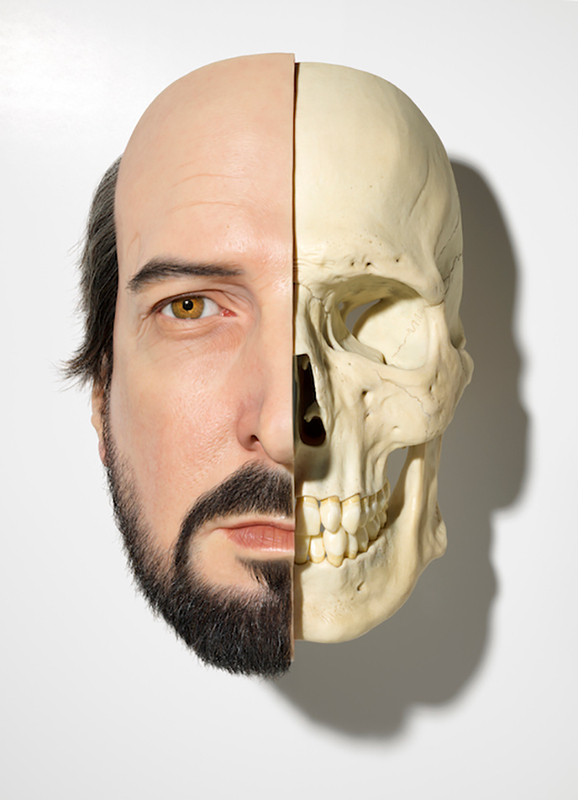 Sargon & Molloy collection.